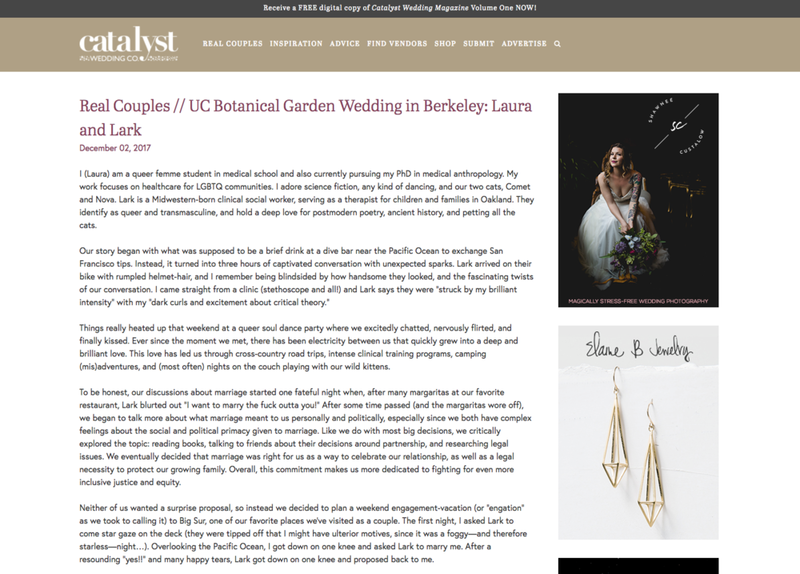 So excited to have Laura and Lark's UC Botanical Garden wedding featured on Catalyst Wed Co. I absolutely adore this couple and their story! (And plan to share the whole wedding on my blog soon!) In the meantime, you can read and see more from their wedding at Catalyst Wed Co!